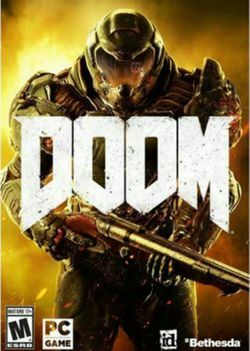 Doom (stylized as DOOM and originally known as Doom 4) is an upcoming first-person shooter developed by id Software and published by Bethesda Softworks. The game will be a reboot of the Doom series and is the first major installment in the series since the release of Doom 3 in 2004. Doom is set to be released on Microsoft Windows, PlayStation 4, and Xbox One on May 13, 2016. On November 10, 2017, the Nintendo Switch version will make its debut with the core elements intact. Considering the time since Doom 64 on the Nintendo 64. This page was last edited on 11 June 2018, at 20:18.